Johns Hopkins SAIS offers a rich learning environment that is committed to cultivating and nurturing a diverse and inclusive community. As SAIS prepares the next generation of leaders to tackle global issues, we continue to welcome diversity and inclusion. The Office of Admissions invites you to watch a brief short from Tanya McMillian, Director of Student Services and Co-Chair of the SAIS Diversity Committee as she shares how SAIS celebrates the diversity within our community. 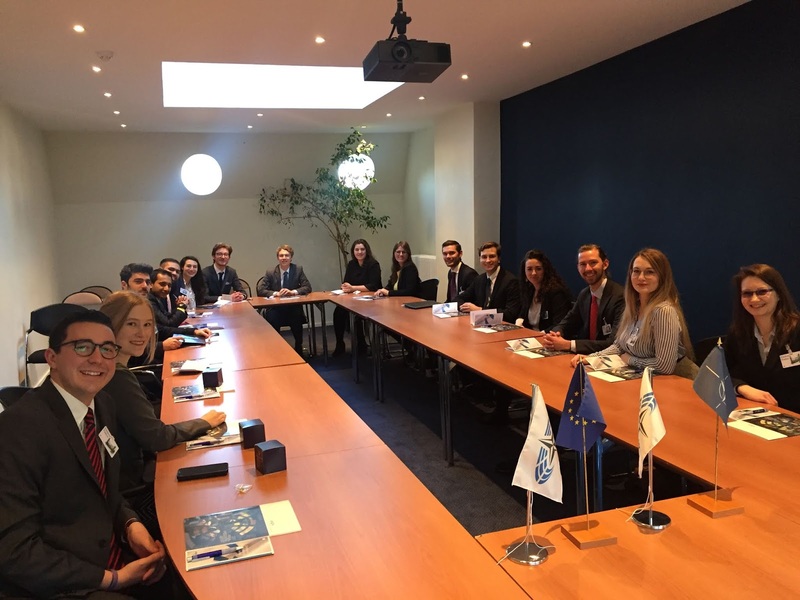 Just before the start of the spring semester, students at SAIS Europe took part in two of the six Career Treks, which take place every year. These trips are organized by the Office of Career Services and help students understand what career opportunities are available to them, what these entail, and what they need to do to enter a particular field. 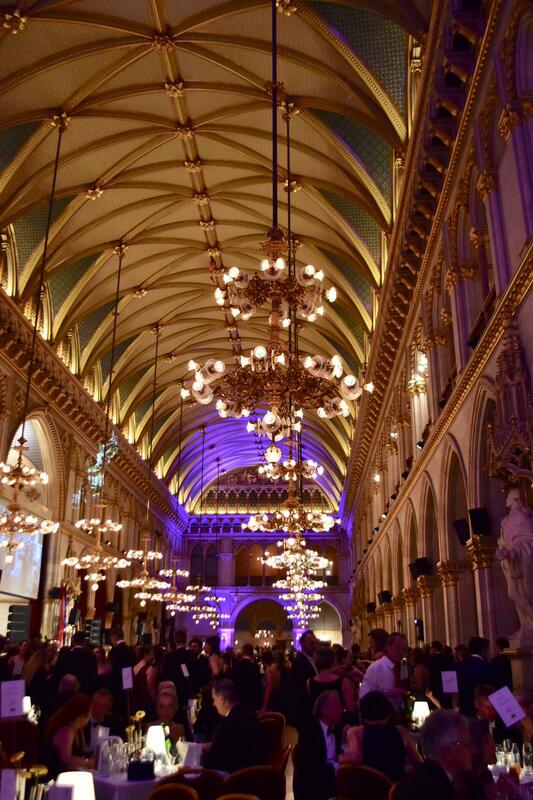 In January, students traveled to Vienna, Austria, and Brussels, Belgium, to explore different sectors and organizations. 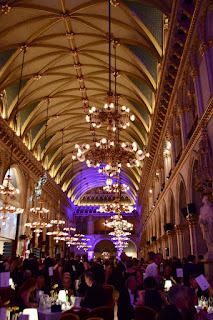 The Vienna Career Trek was coupled with the Vienna Ball, an institutional event where students travel to the neighboring Austrian capital, to attend a traditional ball hosted by Vienna Ball of Sciences. 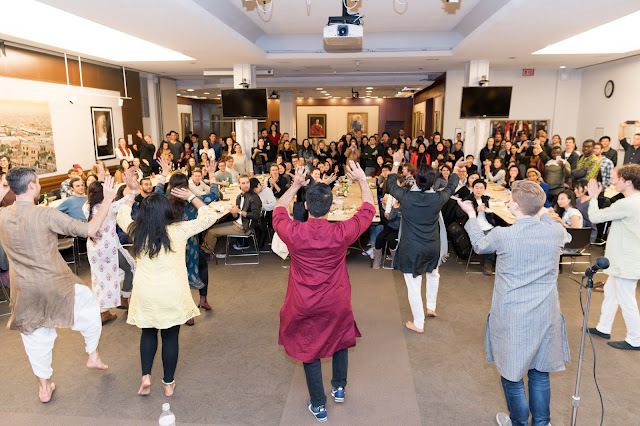 After a few steps of waltz, students visited the United Nations as well as organizations in the energy field such as OMV Austria and JBC Energy, to name a few. 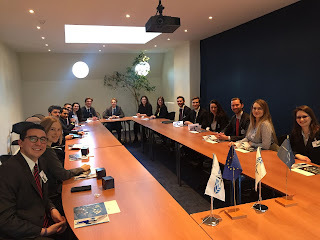 In Brussels, students visited the NATO headquarters, European institutions such as the European Union Parliament and the European Commission, and think tanks such as Carnegie and Bruegel. Earlier in the academic year, there was a trip to London, UK, to explore the financial sector and, recently, students returned to the UK capital to learn more about political risk consulting. Also earlier in the year, a group traveled to Geneva to learn more about the multilateral sector and the opportunities within. "The trip to London helped me gain a better understanding of the opportunities within political risk consulting. I now know more about which opportunities are available and what employer expectations are"
Next week, more students will make their way to Milan to learn about the career possibilities offered by international companies in the private sector. During my gap year, I started to do research into what programs Johns Hopkins SAIS had to offer. I discovered that Johns Hopkins SAIS had joint law, business, public health, and public policy programs with top universities. 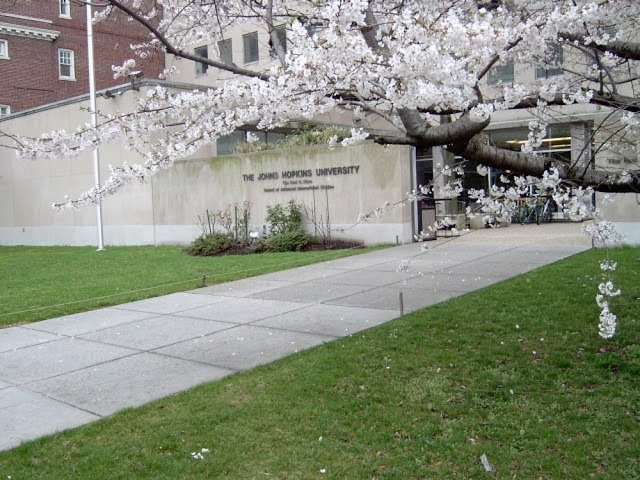 Also, if students wanted to attend other schools outside of the SAIS-affiliated ones, they could customize their own dual-degree program through an ad-hoc route. This sounded perfect! I decided I would pursue law school first and then apply to SAIS. So, I attended University of California, Berkeley, School of Law and applied and got accepted to SAIS during my first year of law school. After completing two years of law school, I packed my bags and moved to D.C.
Because I created an ad-hoc Berkeley Law-SAIS dual program, I only had to spend two and a half years at Berkeley (instead of three years) and a year and a half at SAIS (instead of two), totaling four years. Given this accelerated schedule, I was committed to making every moment of my SAIS experience worthwhile. I was eager to engage more with topics related to politics, the economy, and development on a daily basis. Additionally, I was excited to concentrate in African Studies and learn more in-depth about how Africa’s political economy coincided with its legal landscape. Lastly, I was enthusiastic to hear from well-known academic experts and political pundits who frequent SAIS and the D.C. area. During my three semesters at Johns Hopkins SAIS, I have enjoyed watching the news in the lobby of Nitze building, taking classes by academic experts, engaging in weekly presentations organized by the African Department, and attending events with Condoleezza Rice and Ambassador Susan Page. In addition, during my first semesters at SAIS, I had the flexibility to work part-time at Oath (formerly Yahoo) as their Business and Human Rights Fellow for 2017-2018. Moreover, what I found most enjoyable about my SAIS experience was gaining proficiency in a foreign language. Given my regional concentration in Africa, I had the option to choose between learning French, Portuguese, or Arabic. I devoted my time to French due to my interest in working in West Africa in the future. In my effort to become proficient in French, I took opportunities to spend two weeks in Côte d’Ivoire during the summer and to intern at a law firm in Paris during Hopkins’ six-week long winter break. But, wait. Let's be real, pursuing a professional degree can be taxing. It's undergrad all over again, but more challenging and interesting. Pursuing two degrees can be logistically and intellectually crazy: two different writing styles, finding housing over and over again, maintaining two different email addresses, on top of your various personal ones (if you attend different institutions), and only being able to take advantage of a certain number of classes and opportunities. But after a year and a half of attending Johns Hopkins SAIS, I have come to appreciate the great flexibility, unparalleled experiences, comparably low cost, and far-reaching networks that my dual-degree program has offered me. In the end, I can now say that I understand how deeply interrelated law and development are. Further, I understand both the limits and power of the law, specifically how a country’s economy is confined or revitalized by the set of laws the country enforces. Moreover, after three and a half years of my dual-degree journey so far, I see that my international affairs and economics background compliments my legal background well and has prepared me for a career in international corporate law. 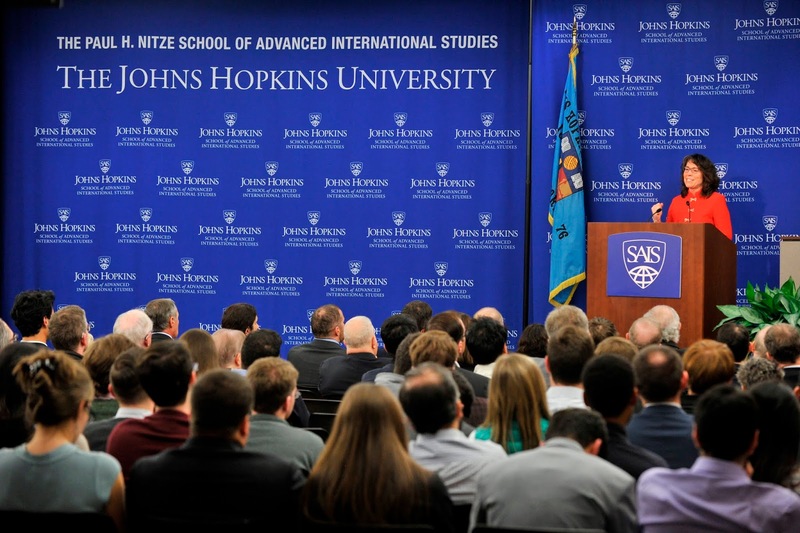 Thank you, Johns Hopkins SAIS, for an amazing three semesters! Back to Berkeley, I go! Maria Adebayo is a first-generation Nigerian-American born in Washington, D.C. She is a dual MA/JD student, concentrating in African Studies at SAIS and pursing her law degree at University of California, Berkeley. Maria has a desire to bring stability and development to Africa through her legal career and international studies background. Also, she is a member of SAIS Christian Fellowship. Outside of school, Maria is a fashion blogger (@vidabymaria). After finishing my first semester at Johns Hopkins SAIS, I walked into the Office of Admissions ready to start my shift as a Student Ambassador. As a Student Ambassador, my job requires me to speak with prospective students and address their questions and concerns. When speaking to applicants, many expressed concerns regarding curriculum, adjustment to graduate life, what factors led me to select Johns Hopkins, and other related inquiries. Above all, many were relieved to speak to someone who had recently been in their shoes. I love speaking with potential students, answering their questions that I pondered less than a year ago. It is something I attribute to paying it forward for the next entering class. But, doing so on this day prompted my curiosity. 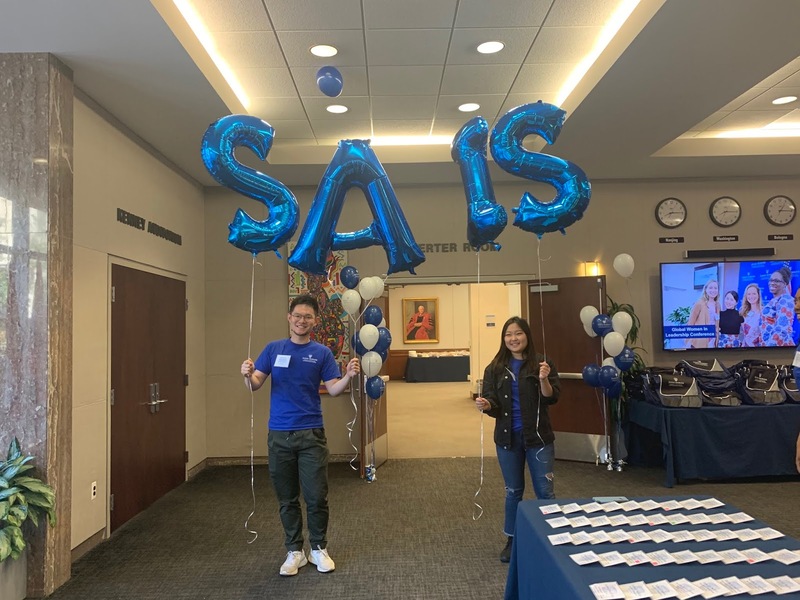 With the backdrop of speaking with prospective students and my own semester reflection, I thought: what did I wish I had known before coming to SAIS? What would have helped me to know before beginning classes here? And this, the SAIS Survival Guide was born. In my reflections and speaking with some of my close friends, I arrived at five important aspects to consider before beginning SAIS. While this list is certainly not finite, it does provide an important look into the first semester of SAIS and some important things to consider throughout the Master of Arts (MA) program. Imposter Syndrome is a very real phenomenon that never goes away. 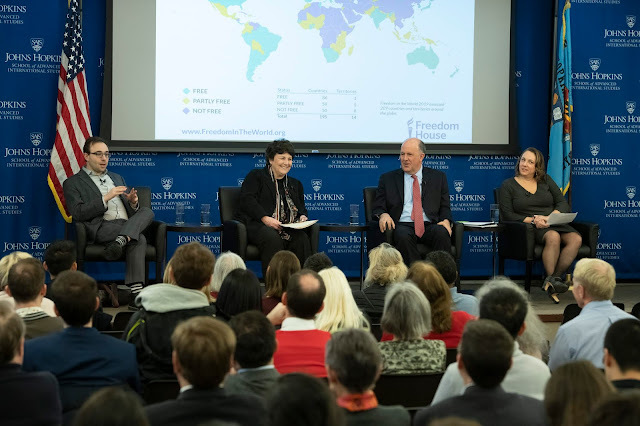 Johns Hopkins SAIS attracts some of the most brilliant students from around the world; that’s simply the nature of the institution. I still bask in awe at some of the amazing accomplishments of my colleagues, but this can very easily spike one’s imposter syndrome. It is unfortunately in our nature to compare ourselves to those around us; something that social media only exacerbates. You may find yourself wondering, “if they accepted this person, why in the world did they decide to accept me?” And you are not alone. It happens to all of us and will likely continue for the remainder of your time at SAIS, perhaps henceforth throughout life. That’s because you’re looking at it the wrong way. Consider it from this perspective: we’ve already mentioned that SAIS brings together some of the greatest minds of our generation from incredibly different backgrounds. And contemplate, for a moment, what you can learn from being in an environment like this and, furthermore, what your unique vantage point will add to the conversation. SAIS is like a puzzle of many, but every piece is necessary. Your experiences are unique from your colleagues and your puzzle pieces are just as important as theirs. 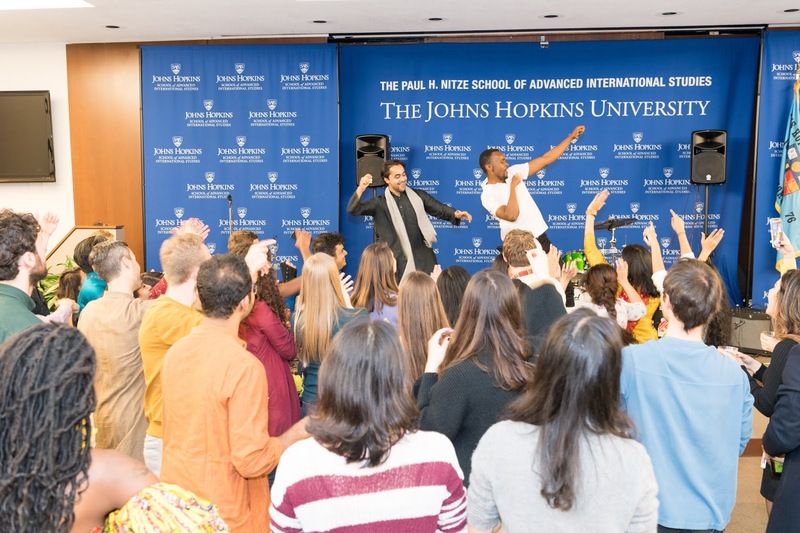 Johns Hopkins SAIS saw something brilliant in you. They recognized your potential. Never allow yourself to forget that. 2. There will be times where you think you can’t do it – but you can. Teddy Roosevelt once said, “Nothing in the world is worth having or worth doing unless it means effort, pain, and difficulty.” The same is true for graduate school. It is intentionally difficult to challenge you, refine you into becoming a master of what you are studying; literally and metaphorically. All things considered, it will be hard. Your first semester will most likely be the most difficult, as you adjust to a new schedule, new expectations, new housing situation, a new city, and new friends. Your reading list will be never-ending, as is the amount of assignments, papers, and social events. You will feel exhausted. You will be frustrated. You will doubt yourself. You will question whether it is even worth your stress. You will wonder why you are doing this, but the end result is worth it and you can do it. 3. Do ALL the things! But, stay true to yourself and your goals. I say this jokingly, but I genuinely mean it. Get involved in every. single. thing you can. Join clubs at SAIS, attend guest lectures held on campus, go to talks at nearby institutions like Brookings or the CSIS, go on career treks with your classmates, the list of opportunities is incredibly expansive. But, be honest with yourself and your goals through it all. If you try and go to everything, you might become more lost and more burnt-out than before. Stay true to yourself through it all and follow whatever you feel passionate about. Sure, you will not be able to attend everything because there are only 24 hours in a day. But, making time for the events you really care about is drastically important. This expands your knowledge, allows you to network in the field, and gives you a much-needed break from studying. 4. Your corner is critically important – take advantage of it! In every boxing match, each boxer is given a “corner” where their trainers will provide help and encouragement. Grad school is similar in that those who surround you will assist by encouraging you when it is needed most. Let’s revisit the earlier statement about the wonderful students at SAIS causing your imposter syndrome. Networking with your colleagues is just as crucial as networking outside your courses. By nature, I am very social and a great networker. However, I know that not everyone is like that. In fact, I was surprised at SAIS to find how many of my colleagues were not actively networking within SAIS. In fact, a few I met had not met many of their fellow classmates. But, your fellow SAIS-ers are invaluable members of your corner. They will give you advice, help edit your papers, supply notes when you miss class, and pick you up when you are feeling down. Most importantly, your classmates, more than anyone else, understand what you are going through and can relate to your anxiety and frustrations. Their stress level is just as high as yours, but they will not hesitate to give you a pep talk when its needed. I have, on numerous occasions, been astounded by how supportive my fellow SAIS students are. Never be afraid to turn to them whenever you need it because they will always have your back. 5. Expanding your knowledge is more important than grades. This one is a difficult realization for me. I am a perfectionist and, by nature, do not like getting anything less than an A. Many first-year students at SAIS are unsurprisingly the same way. However, venturing outside your comfort zone is the best way to expand your knowledge and grow exponentially. Taking a course like this may result in a B, but I contend the B is worth it without a doubt. Why? Gaining the most out of your SAIS experience is drastically more important than the grades you earn while here. It is still challenging for me to accept, even though I know it is true. Push your limits and it can teach you what you are made of. As I mentioned, this is in no way a complete list. However, these are some of the most important aspects to keep in mind as you attend SAIS. 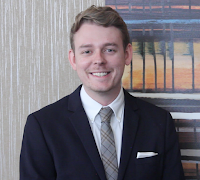 Chase Kelly is a first-year Master of Arts Candidate at the Johns Hopkins School of Advanced International Studies. Orginally from Tifton, GA, Chase aims to pursue a career in either diplomacy journalism after SAIS. In his spare time, Chase is an avid writer and reader, live music lover, and car enthusiast. The rush to get your application in is over. You clicked the Submit button and you provided the documents we’ve asked of you. What’s next? If anything is missing from your dossier you’ll get an email from our Admissions Office and, if you’re an applicant to SAIS Europe, you’ll have received an email asking you how you’d like to interview. Most applicants to SAIS Europe get to interview with a member of the Admissions Committee. We conduct interviews in person and over the phone or Skype. Whether in person, or over the phone or Skype, interviews have the same objectives and are carried in the same way. The interview serves a number of purposes. We consider ourselves lucky to be able to speak to most of our candidates for admission – it is hard work and it requires a significant time investment— but we enjoy the opportunity to get to know our potential future students in greater detail. For you, it’ll be a great way to put your best foot forward, to expand on your written dossier, and, not least of all, to ask any questions directly to a member of the Admissions Committee. 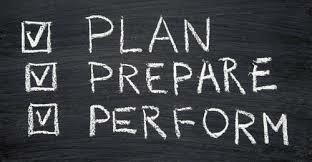 As with any interview, you want to prepare and make sure you give your best. But what exactly should you expect of the interview? The goal of the interview is not to test what you know, but to see how you think. There will be questions aimed at understanding how you inform yourself about current national and/or international affairs, but you’re not expected to know everything. This said, you will need to know something and you’ll want to make sure you keep up to date with the most important latest news. Your interviewer will be interested in learning more about your intellectual interests and career goals. 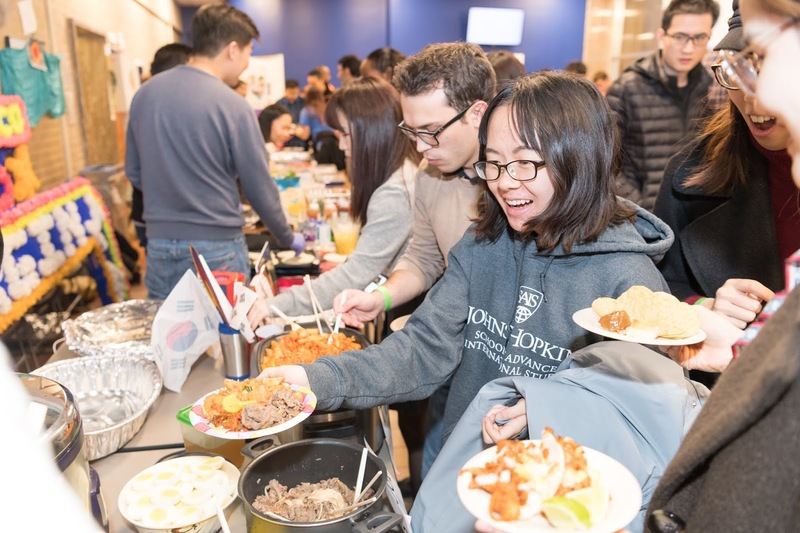 The interview will be an opportunity for the interviewer (and for you) to assess whether or not the program you’ve applied for at Johns Hopkins SAIS is a good fit for you. A graduate education at Johns Hopkins SAIS requires a great level of investment and we want to make sure this is the right program for you and that it will be your best investment. The conversation will last around 20-30 minutes and we are sure you will enjoy it. It will help you get more insights into our institution and programs and it will help us get to know you better. 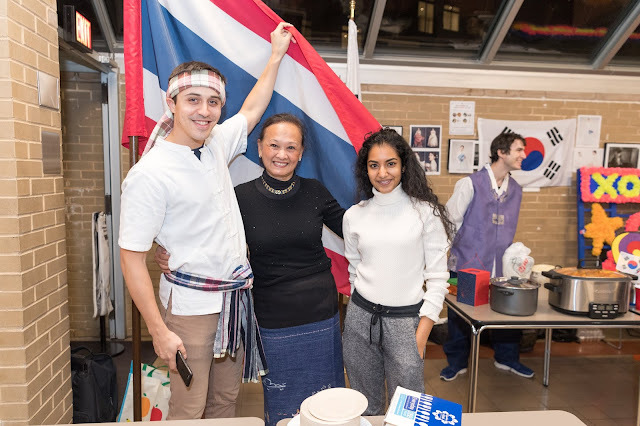 On November 10th the Student Government organized an evening filled with international food and performances. Students prepared traditional dishes from all over the world, and tables with food from Canada to Korea filled the Nitze Café. The Kenney Auditorium was converted into a large dining hall, with a stage set up for performances planned for the evening. The event proved to be an opportunity for students to showcase different cultural dishes as well as performances. Traditional dances and songs were showcased, each garnering excitement from the 200+ students attending. 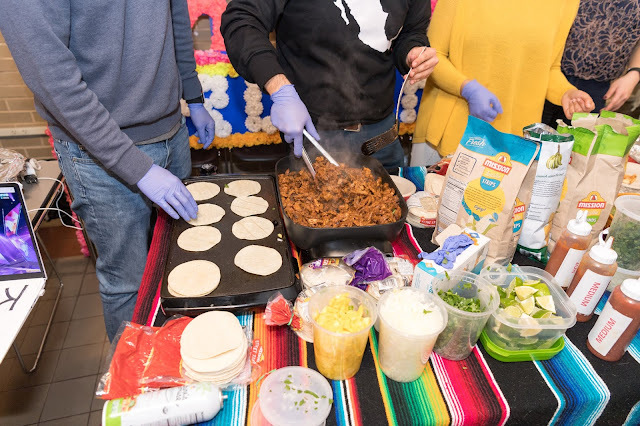 We all crowded around the stage with plates filled with chickpea curry and tacos in one hand and bubble tea in the other while we cheered on our peers. Veerle is a second-year student in the Master of Arts (MA) program at Johns Hopkins SAIS. She spent her first year at the Bologna campus at SAIS Europe, where she focused her studies primarily on EU discourse and Brexit dynamics and negotiations. After graduating she hopes to work on the nexus between economics and human rights.